Nokia, the worldwide leader in smart-phones and Microsoft, the largest software manufacturer in the world, have combined forces and entered into an alliance that is set to deliver a groundbreaking, enterprise-grade solution for mobile productivity. In mid-August, Microsoft Business Division President Stephen Elop and Nokia’s Executive Vice President for Devices, Kai Oistamo, announced the agreement and outlined a shared vision for the future of mobile productivity. The two giants have already begun collaborating on the design, development and marketing of productivity solutions for the mobile professional, bringing Microsoft Office Mobile and Microsoft business communications, collaboration and device management software to Nokia’s Symbian devices. These solutions will be available for a broad range of Nokia smart-phones, starting with the E-series. Both Microsoft and Nokia possess a rare combination of enterprise experience and consumer understanding and, in addition to the collaboration on existing software and services, will use these assets to jointly design arrange of new user experiences for future Nokia devices. 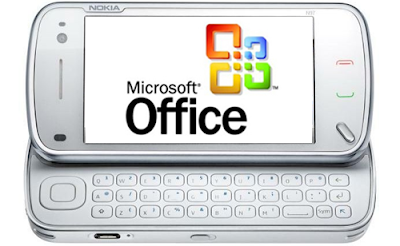 Next year, Nokia intends to start shipping Microsoft Office Communicator Mobile on its smart-phones, followed by other Office applications and related software and services in the future. These will include: the ability to view, edit, create and share Office documents on more devices in more places with mobile-optimized versions of Microsoft Word, Microsoft PowerPoint, Microsoft Excel and Microsoft OneNote.